I am sitting in Kate Moss’s living room as I write this. 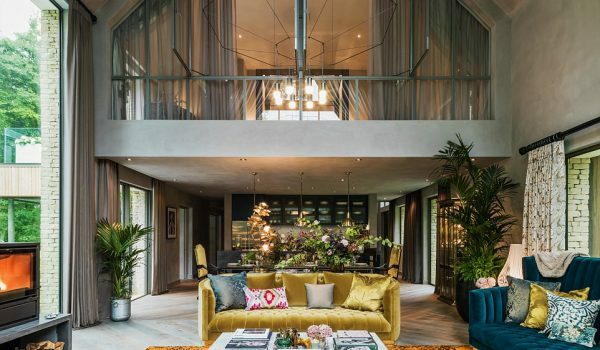 It’s got Mossy’s rock chick chic stamped all over it – generous velvet sofas, thick coffee table books on fashion and design, glossy silk carpets and even a guitar begging to be strummed. It’s homey. A wander throughout any of the five bedrooms and seven bathrooms here will reveal House of Hackney wallpapers, Penguin classics strewn about, Bamford Organics bath products, vintage lamps, sheepskin rugs, antique bottles displayed in marvellous cabinets and framed photographs of Keith Richards, Sid Vicious, Bob Dylan, and of course, Kate Moss. 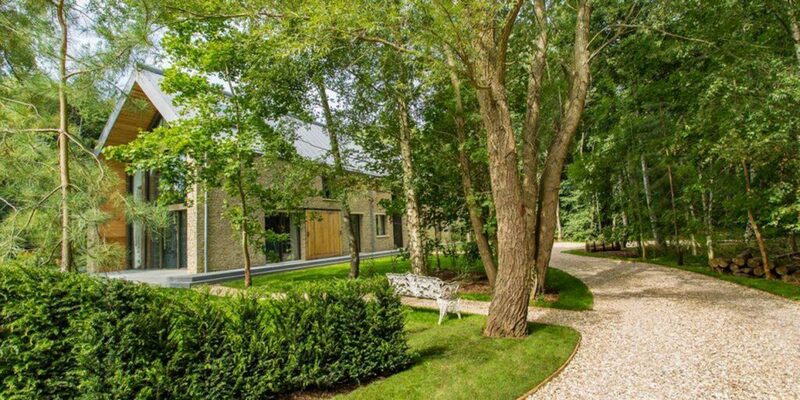 This isn’t where Kate lives; she merely designed the interiors. But what a great job she did – you honestly do feel like she could walk in at any time. 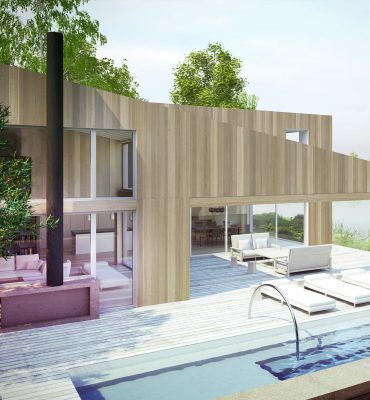 She’s not the only celebrity to get on board with this development project – it was spearheaded by Anton Bilton and John Hitchox, who brought Philippe Starck, Jade Jagger, Kelly Hoppen, and Elle Macpherson on board (to name a few luminaries) to design the interiors of these lumber clad houses that surround former quarries, which have been given new life as man made lakes. 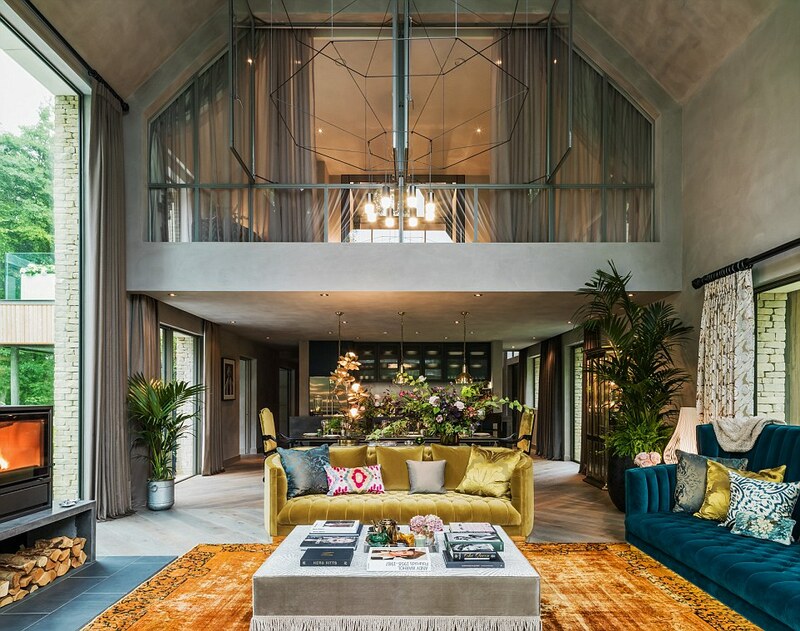 The large, 5-bedroom plus properties mainly serve as second homes for London’s elite, but today many can be rented out for some of the year, too – and that includes Kate’s Barnhouse. 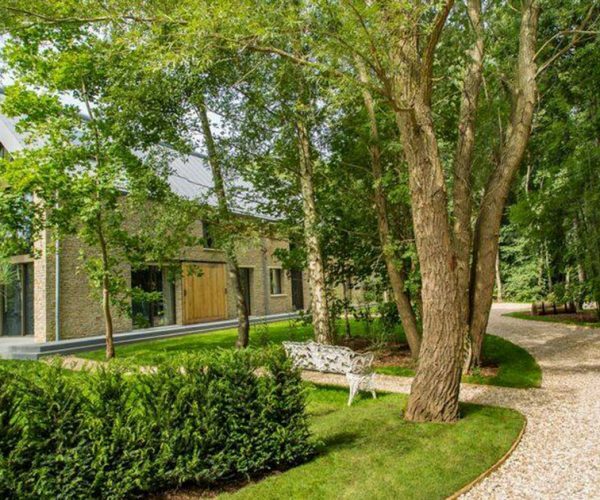 Only around a 90 minute drive from London, the location of this gated neighbourhood is a world away from city life; charming Medieval villages are but a ten minute drive away, and dense forest surrounds the properties. 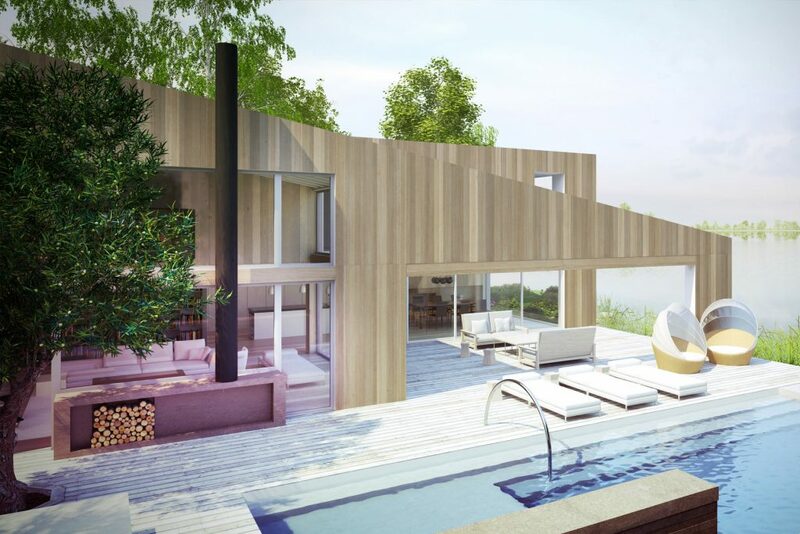 In summer, water sports like swimming, kayaking and canoeing are on the menu, but off season, the communal Orchard Spa is the star. 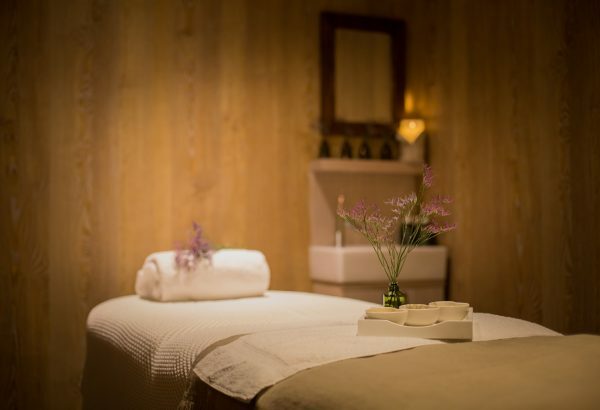 The spa boasts a 17m long pool, billiard table, gym, steam room and sauna, plenty of board games and blissfully relaxing, organic spa treatments. I opted for the Relax into Radiance treatment, using Spezia Organics balancing oils. My therapist, Melissa, began the 90 minute session with a foot soak, and proceeded to use long, soothing strokes on my back to relax me before moving onto a full body massage that included reflexology and an oily Indian head massage. It was so relaxing and the spa was so quiet, at one point I nodded off. Afterwards, I just had enough energy to throw myself into the hammam and sauna, before rinsing off and diving into the heated pool to revive from all that relaxation. My approach was rather laissez-faire, but if you’d like a more structured wellness stay, the Wellness by the Lakes program has been carefully designed with lasting health benefits in mind. This is not a typical boot camp or spa stint, but rather a bespoke and intuitive wellness retreat focussing on diet, exercise, alkalinity, mindfulness & wholesome wellbeing. 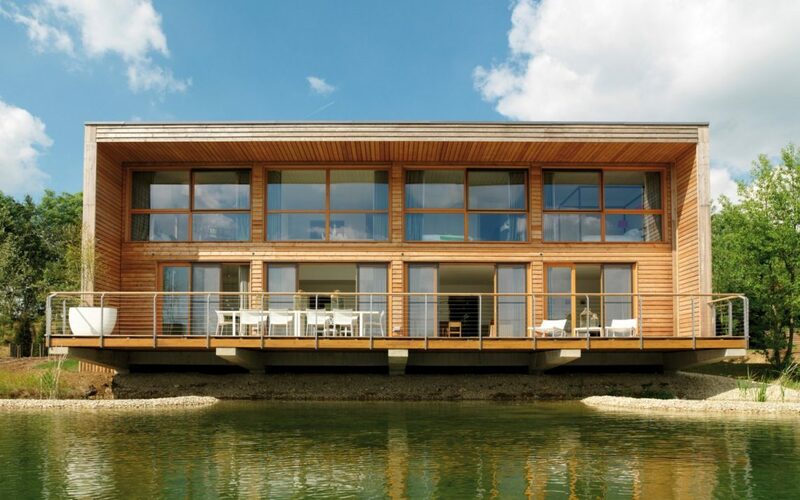 Guests stay in Kate’s house, and are offered nutritional guidance by Bettina’s Kitchen, a global leader in plant-based eating, who have designed recipes for the wellness retreat incorporating WelleCo’s Super Elixir. WelleCo, Elle MacPherson’s super-greens supplement company have a range of exciting products, that focus on balancing the alkalinity of the body. Guests also enjoy a Spiezia organic body treatment that is completely designed to fit their needs at the wellness retreat, following thorough individual consultations. The program includes meditation, mindfulness moments and nature walks and bespoke detoxifying Vinyasa & Yin yoga, designed to uplift and balance the spirit. Strength and conditioning is delivered by the Bosworth Clinic – the Team GB physiotherapists – and Matt Gleed, a TRX Master Trainer. Designed to deliver an understanding of body mechanics, strength & conditioning, it is a great base to work from in terms of fitness..
Whilst the homes here are beautiful and the interiors have spared no expense, one can only hope that the key feature of The Lakes by Yoo – namely the nature surrounding the properties – remains undisturbed. Otherwise, this may become just another London suburb serving the super wealthy. And that would be a shame.